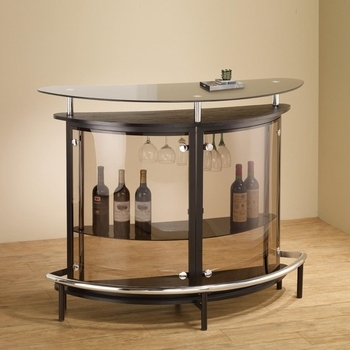 Minimalistic contemporary style makes this bar unit a serving piece and display piece in one. 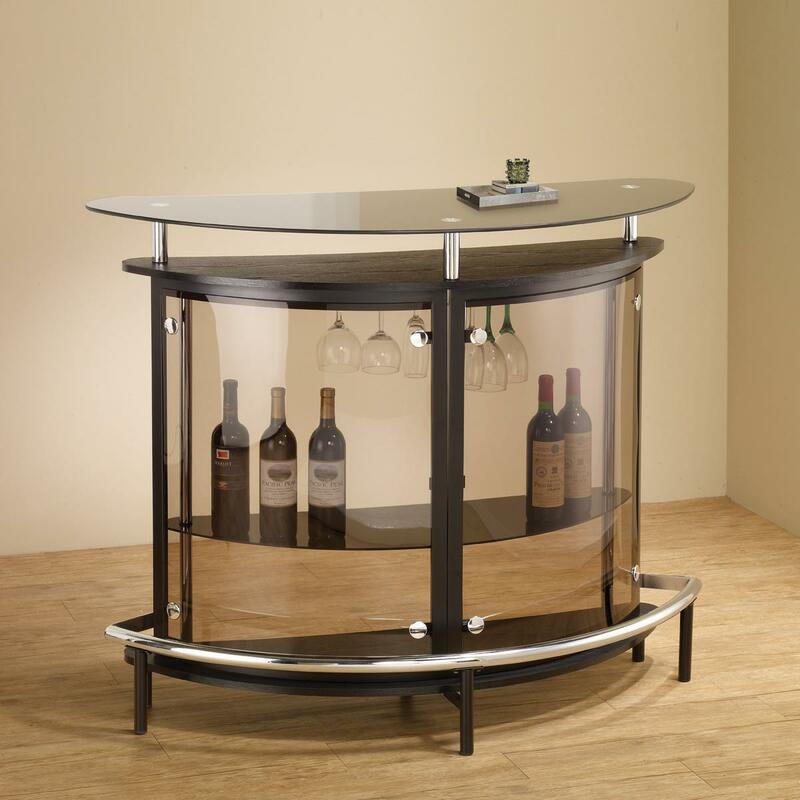 The sleek design features a durable metal frame, a demi Lune shape tempered glass top and smoked acrylic front. 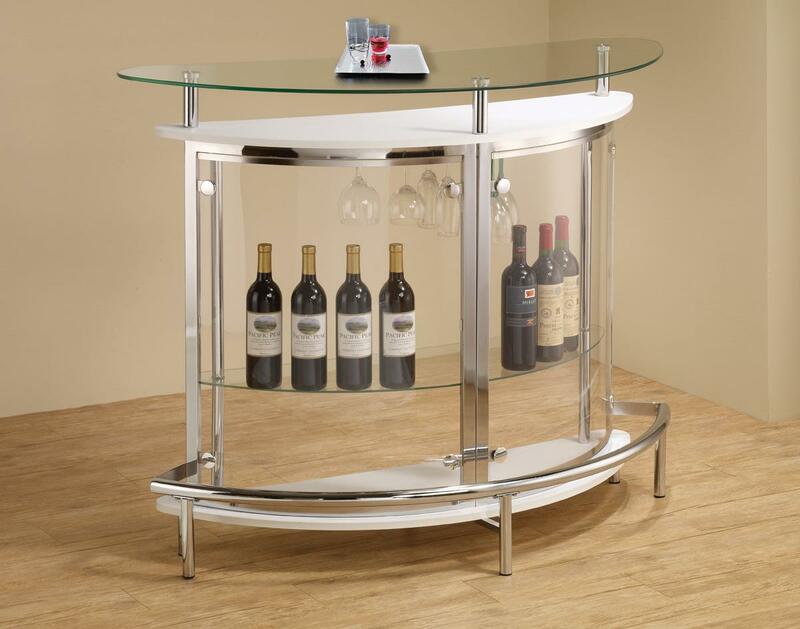 The cappuccino finish base shelf and secondary shelf below the glass top completes the look of this bar unit. The middle of the unit includes a demi Lune shelf and stemware storage.